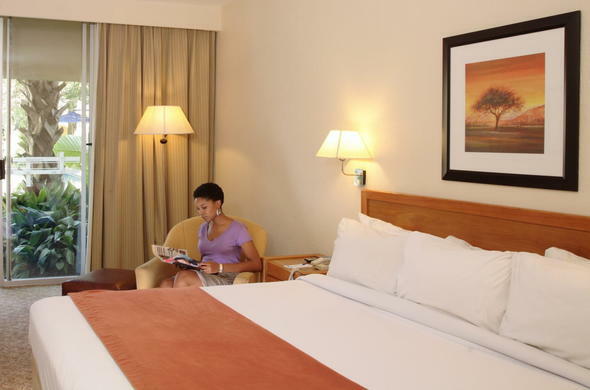 Garden Court Polokwane Hotel offers comfortable and spacious Polokwane accommodation in 179 well-equipped rooms. The different types of rooms available include kind bed standard, queen bed standard, double double, king bed, and one suite with king bed. There is also a wheelchair accessible room available. There are both smoking and non-smoking rooms provided. All of the rooms have air conditioning, AM/FM radio, remote controlled colour TVs with satellite channels, in-room movies, modem connections, direct dial telephones, data ports on telephones, coffee and tea making facilities, hairdryers, separate wardrobes, private bathrooms, and work desks with lamps.